Pug Meets Pig gets a Big Thumbs Up! 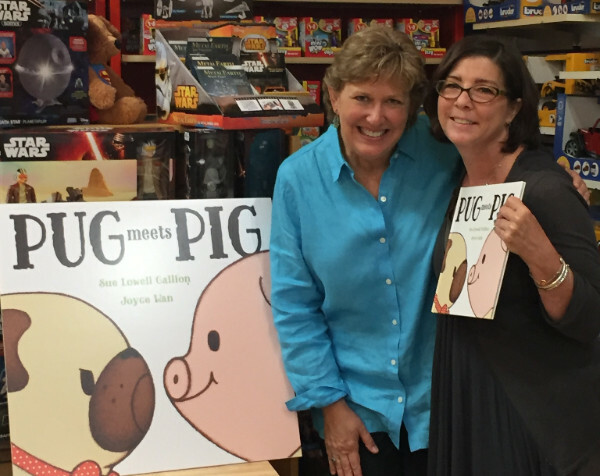 A big THANK YOU to local author Sue Lowell Gallion! 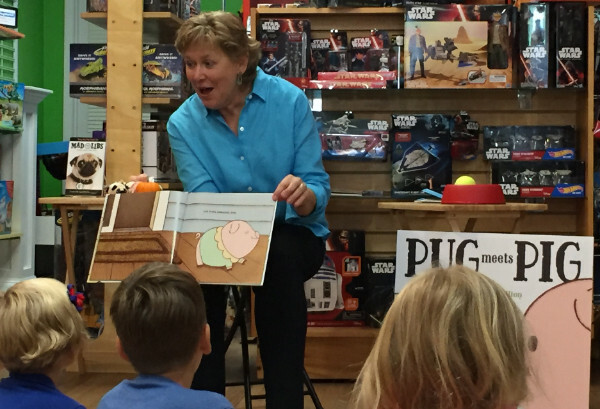 Grownups and kids alike were delighted with her new book, Pug Meets Pig, on Saturday at the Learning Tree. Sue engaged her audience with an interactive story reading. She taught us some sign language and shared take home treats for kids and pups! It was our pleasure to celebrate this new book with Sue. We’re looking forward to her second Pug and Pig book already on its way for 2017, Pug and Pig Trick or Treat. 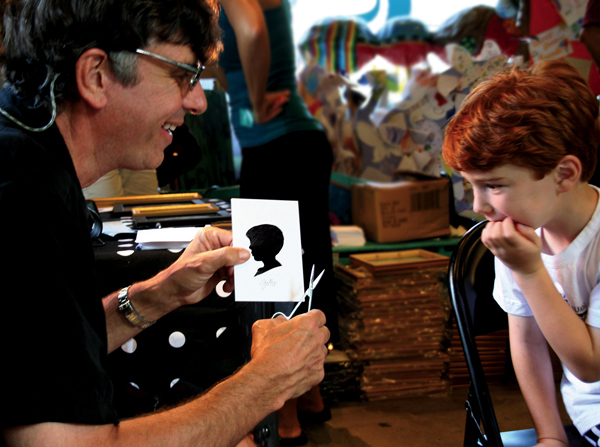 Make your Silhouette Portrait appointment today!We happily welcome back internationally acclaimed, multi-award winning silhouette artist and children’s author, Clay Rice, for two days in November. On Saturday, Nov. 12th, Clay will be at Corinth Square and on Sunday, Nov. 13th, at Park Place. With a few snips of Clay’s magic scissors, a silhouette becomes a timeless memory. 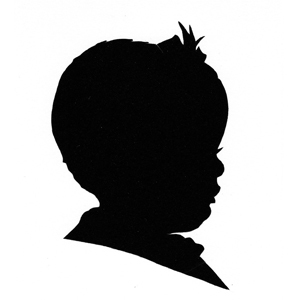 Framed, a silhouette of your child becomes a treasured gift.A silhouette sitting is $42 for two copies of the same child. Separate appointments must be made for each individual. Call 913-385-1234 for a Saturday Nov. 12th appointment at Corinth Square. Call 913-498-1234 for a Sunday Nov. 13th appointment at Park Place. 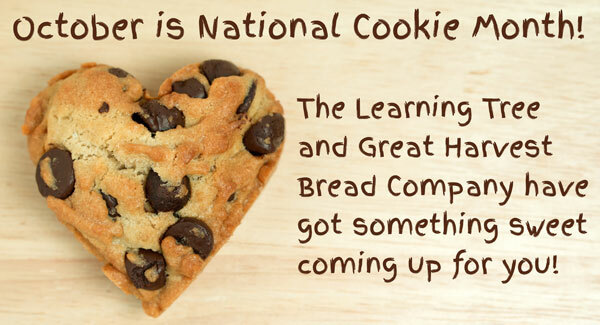 It’s National Cookie Month. Why not get caught with your hand in the cookie jar? 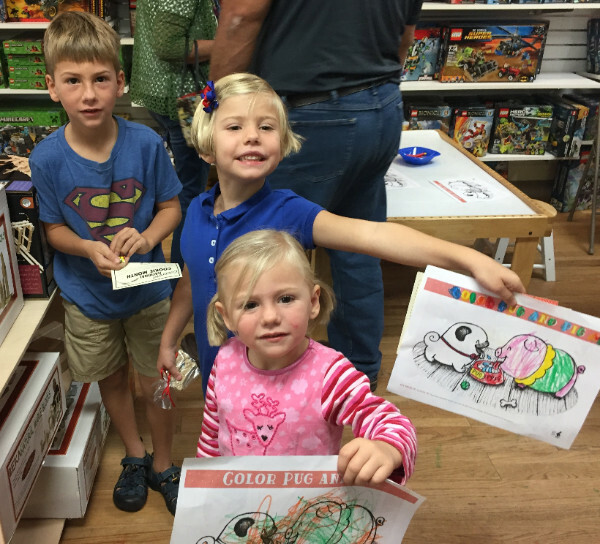 Attend any event at Corinth Square Learning Tree this month and we’ll say “thanks for coming in” with a fun-to-color coupon. We’ve teamed up with our neighbor, Great Harvest Bread Co. Take your coupon next door anytime in October and get a FREE COOKIE when you buy any smoothie, coffee or espresso drink. We want to put a smile on your face…crumbs optional! Saturday Oct. 8, 8:30am – Park Place: The Moustache Dash Walk/Run 5k is back at Park Place and we’ll be open at 8:30am to greet all you hairy contestants and supporters! Wednesday Oct. 12, 10:30am – Park Place: Our regular Wednesday Storytime will be extra sweet today! We’ll welcome special guest and local author Danna York to celebrate the season with apple activities and her special interactive, coloring storybook, To the Cider Mill. Saturday Oct. 15, 10:30am – Corinth Square: Local author Danna York is back, this time at our Corinth Square location! Delicious apples are rolling in for Fall and Danna will take us on a trip down an imaginary country road to welcome the season with her special interactive, coloring storybook, To the Cider Mill. Drop in for story reading, activities and apple tasting. Let’s hear it for Jonathans, Granny Smiths and Honey Crisps! Click here for our full October Calendar! We are always looking for enthusiastic candidates to join our talented retail staff of toy and playtime experts. We’re currently interviewing for seasonal, full, and part-time openings.